The Shoreline Soup Kitchens & Pantries. The 2016 Gowrie Group Challenge raised more funds for The Shoreline Soup Kitchens & Pantries than ever before - a record breaking $172,919! 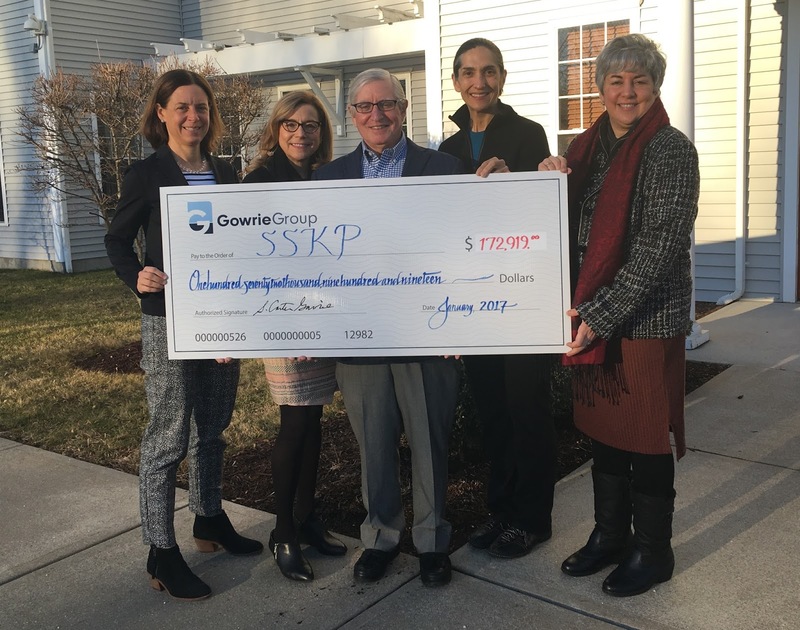 The Gowrie Group Challenge is an annual fundraising initiative where Gowrie Group announces a dollar for dollar match to benefit The Shoreline Soup Kitchens. This approach doubles the impact of generous donations from local businesses and individuals. This year, over 400 individuals and companies donated to the challenge which ran two months, from November 15, 2016 to January 15, 2017. 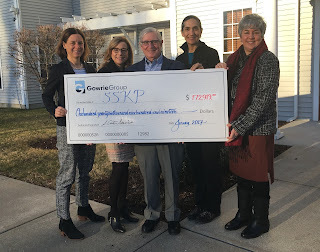 The contributions from this campaign are used to fill the shelves of the SSKP’s five pantries and serve meals to those who are struggling to feed themselves and their families at the SSKP’s eight meal sites along the Connecticut shoreline. Since Gowrie Group began this challenge 13 years ago, over 4 million meals in total have been provided for those in need through the Gowrie Group Challenge. Gowrie Group kicked off this year’s challenge with their largest gift to date - a $30,000 dollar for dollar matching donation to the The Shoreline Soup Kitchens & Pantries. Five companies stepped forward as Partner Sponsors to provide additional matching funds: The Safety Zone, LC Doane Company, Tower Labs, Lenny & Joe's Fish Tale, and BrandTech Scientific. Gowrie Group and The Shoreline Soup Kitchens & Pantries are proud of all that they have accomplished in the past thirteen years of partnership, and look forward to continuing the annual Gowrie Group Challenges in future years. Gowrie Group. Always on Watch. As one of the nation's Top-50 independent insurance agencies, Gowrie Group provides total risk management services to individuals and organizations with complex insurance needs. Gowrie Group offers comprehensive insurance solutions matched with trusted advice and a commitment to service excellence. Gowrie Group's portfolio of offerings includes commercial, home/auto, equine, and yacht insurance, as well as employee benefits solutions and safety services. The company's 175+ professionals service clients across the US from offices in Westbrook CT, Darien CT, Newport RI, North Kingstown RI, Annapolis MD, Boston MA, and Marshfield, MA. www.gowrie.com or 800.262.8911. A special thank you to our 2016 Gowrie Challenge partners and media sponsors: The Safety Zone, LC Doane Company, Tower Labs, Lenny & Joe's Fish Tale, and BrandTech Scientific. Media Sponsors: Shore Publishing and WLIS/WMRD.